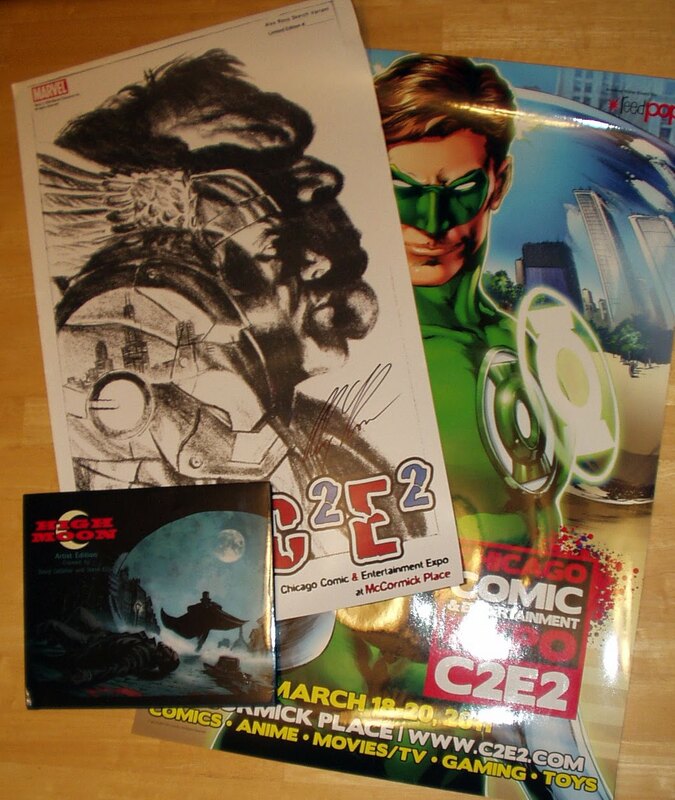 The two posters were from a quick Twitter contest the C2E2 folks had last week. 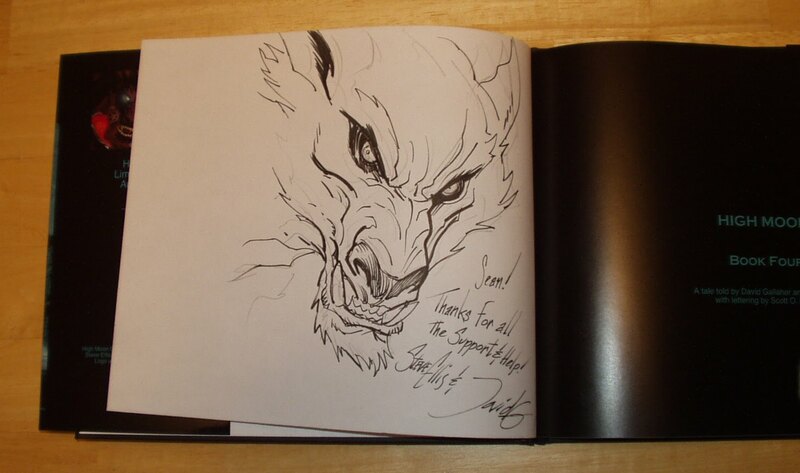 The one on the left is signed by Alex Ross. The show is March 18-22, 2011 and tickets are already on sale here. I was disappointed that I had to miss the inaugural 2010 show, but I'm hoping I can make it this next one. A print edition of the first three chapters of High Moon can be purchased here while the whole thing can be purchased and read online via comiXology. Good stuff, and it works almost surprisingly well in both print and online! Big shout-outs today to Kristen over at Reed Pop, and Dave & Steve of the High Moon crew. Some great folks doing some stellar work, and I owe them a huge thank you for brightening up an otherwise long and dreary Monday! High Moon is great! I saw that hardcover at NYCC, but it wasn't for sale. Looks like you are a lucky guy! High Moon looks super cool! That's another comic to add to my list of 'comics I must check out'!